CBD Hemp Oil (Hemp cannabinoids) are dietary supplement products for pets which are made from the hemp plant. Hemp is a variety of marijuana (Cannabis sativa), but because it contains lower levels of the psychotropic compound, THC, it has traditionally been used to make products such as rope, textiles etc., rather than used recreationally or medicinally. 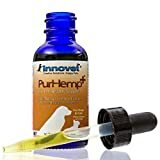 CBD Oil products like Canna-Pet®, Canna Companion etc. 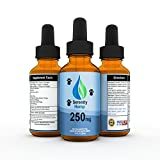 are marketed to help with pain relief, inflammation, nausea, digestion etc.. CBD Oil supplements are not psychoactive (they don't produce a "high"). They contain various beneficial cannabinoid and terpene compounds which have been extracted from hemp. Hemp supplements are available as soft gel capsules, chewable treats, and oils.